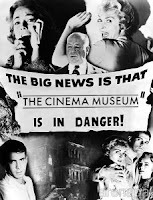 A couple of nights ago I went along to see a screening of Fright Night 3D. I’m not allowed to say anything about it as yet, but if I was you I would try get tickets to the screening at FrightFest Sat 27 August or Empire’s Big Screen screening on Sun 14 August. Before Fright Night 3D we got to see the teaser trailer for John Carter, the film previously known as John Carter of Mars. My overall thoughts were that it was engaging but didn’t let us see enough to really make any judgment calls on yet apart from leaving me wanting to see more. It was about 30 seconds long in total and to be honest I remembered a lot more last night, but a lot has happened since then. But when I was asked if I would mind describing it, thought crack out the bits I do remember. Update: The Trailer is now out. 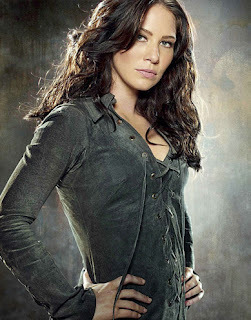 Just to follow up on my post badly describing the John Carter teaser. Here it is in glorious technicolor.Civil War vet John Carter is transplanted to Mars, where he discovers a lush, wildly diverse planet whose main inhabitants are 12-foot tall green barbarians. Finding himself a prisoner of these creatures, he escapes, only to encounter Dejah Thoris, Princess of Helium, who is in desperate need of a savior. “he can’t be, he just can’t be”. 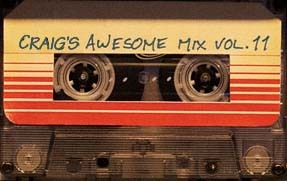 At this point some really cool booming music kicks in as we are transported to Barsoom (or Mars as we know it) or at least the inside of a large dark Middle Eastern styled structure where we see a man getting up from the floor or climbing up through the floor. With a shaft of light shining down on him. As we see more of him we see that he is toned and fit his top half is bare apart from two pieces of material or leather crossing over his chest. 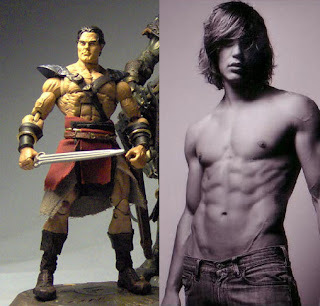 A quick Google came up with this John Carter action figure that looks similar. I forget exactly what follows because it moves very quickly and we don’t really get to see anything substantial like life forms, architecture or two moons – it’s mainly desert or dry landscapes and did seem to look the Lake Powell area in Utah. Fade to black and then in large letters JCM slide into place on the screen to reveal the JCM logo. That’s what I remember but a friend who saw the same teaser is convinced that the JCM logo transformation that you can see over at http://disney.go.com/johncarter/ is how it happened. Either way we end on the John Carter logo. So it seems that John Carter will follow a similar theme to Edgar Rice Burroughs novels and Barsoom will be beset with some ecological disaster in the books air is artificially manufactured to maintain life on Barsoom so I guess we can expect the war between the Barsoom tribes over resources to continue and no doubt the threat of relatively resource rich Earth to raise its head. 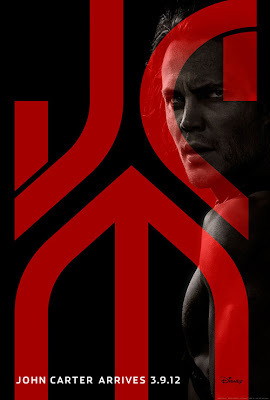 The Establishing Shot: John Carter Review JOHN CARTER IS A LOT OF FUN!